The ongoing debate between the best flat roof membranes continues. Hot mop roofs have served their purpose over the millennium; however, technology has come to forever replace the need for a hot mop tar roof. People have been trying to come up with a different flat roof roofing product, and the first to get a good toehold was a product called torch down roofing. This was a mediocre replacement, and as the name implies, was installed by using fire, and melting the membrane down to the surface. As you can imagine, it didn’t take long for the fire marshals to see a major increase in building fires, specifically those starting from the roof. In 1957, someone got the great idea of using a PVC sheet membrane on top of the building to keep water out. And so began the PVC membrane roofing business. Polyvinyl chloride, also known as PVC, as a manmade polymer they can be formed into many different shapes, sizes, consistency, and harnesses. PVC was produced in the early 1900s, and went on to greater use in the nylon industry. You probably have some PVC furniture on your back deck. With PVC roofing, a new material known as scrim is placed between layers of PVC, and the material is rolled out into large roles, approximately 1/8 inch thick, similar to vinyl flooring. 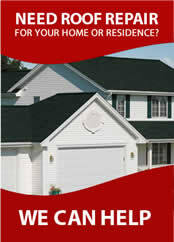 This product is highly resistant to the weatherization at any temperature and reflects most of the light that hits it. Results of PVC membranes being installed over 50 years ago are still showing satisfactory results, with little in aging. PVC membrane will last for decades. Like other things, as soon as you come up with a good idea, somebody has to come along try to out-do you with a better product. This is the case with TPO vs. PVC. Both products have been up for a long time, in various forms. TPO was developed to be used in the 30’s as a clothing product, with superior results. A push by roofing manufacturers began about 10 years ago in the direction of TPO, by many of the main roofing manufacturers attempting to circumvent the lead that PVC roofing has achieved up to this point. 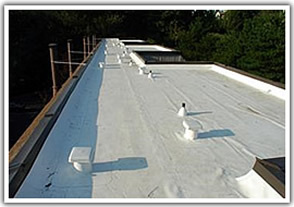 Touted as the new environmentally friendly flat roof membrane, many formulations of TPO have been developed, and just as many failures have been reported. The average lifespan of a TPO membrane roof is still averaging about 12 years, and that’s only if the membrane was installed correctly in the first place. 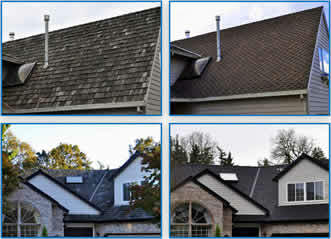 All products are installed approximately the same way. The membranes are rolled out, screwed down to the deck, overlapped by the course, and sealed with a heat welder. The exception, however, is that TPO roofing requires you to clean with a very strong solvent all of the area’s you’re going to be welding, seal most of the edges with a cut edge sealant afterward, and take great care around anyplace where there is an anomaly. PVC does not require that you seal any edges, clean any seams, or take any precautions whatsoever around anomalies, with the exception of installing the product correctly. From the installer’s point of view, PVC is less work, less expense in additional materials and sealants, less maintenance, fewer headaches from leaks, and lasts five times as long as TPO. With the benefits of PVC, we are inclined to use it more often than TPO.